On January 17, 2019, the Milford Exempted Village School District Board of Education approved the final resolution needed to approve to place a 4.7 mill bond issue on May 7, 2019 ballot. ● Build a middle school (grades 6-8) to replace the current Milford Junior High School. ● Add new 1,000 seat auditorium shared by MJHS/MHS to better accommodate student enrollment. ● Replace athletic facilities in poor condition. ● Upgrade and complete stadium renovation. 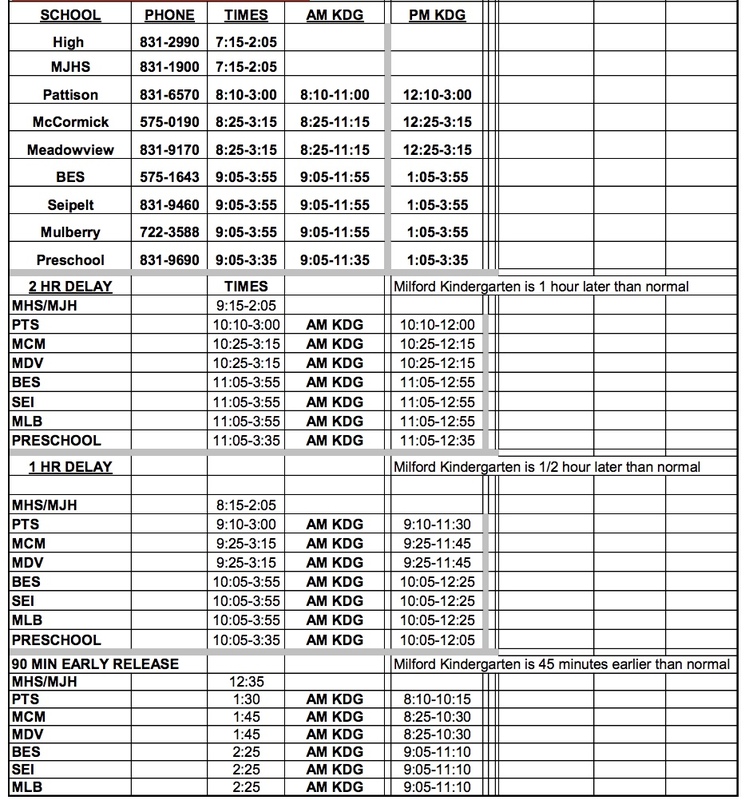 ● Convert current Milford High School auditorium to new learning commons/media center. ● Install new roof on portions of Milford High School. ● Replace high school HVAC/air handling system. ● Create new learning areas within the high school. ● Upgrade Milford High School gymnasium bleachers and floors. Mrs. House shared the academic benefits of a grade 6-8 middle school including the ability to have more equity for all 6th-grade programs throughout the district. The new grade alignment will also open up space in the elementary schools for the all-day kindergarten programs and space to move the preschool to two different elementary schools. It will also eliminate the need for redistricting. The cost of completing these projects is approximately 98 million dollars to be financed through the bond issue. The cost of 4.7 mills on a home valued at $100,000 is $13.71 monthly or $164.50 annually. To learn more, visit our page dedicated to the bond issue.